The Derry Girls finale aired last night. We are gutted that another season has ended so quickly. The good news is that the girls will be returning for a third season. Channel 4 announced the third season on their Twitter last night. 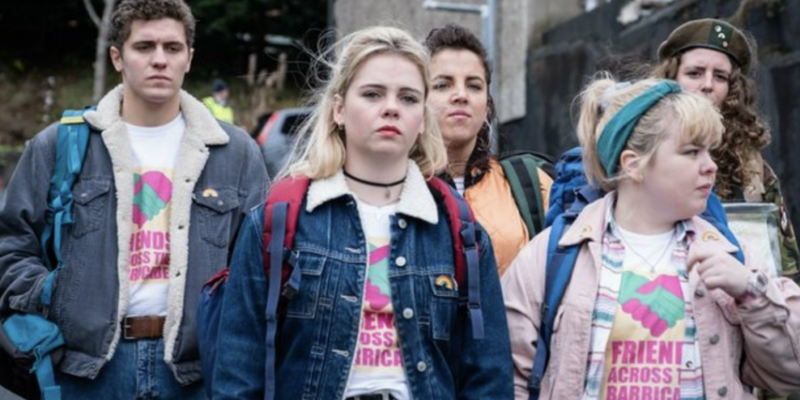 "At a time of great uncertainty about the future of the country thank God we have one unequivocally good piece of news to look forward to: the Derry Girls will be back to make our lives a bit brighter and more fun." "It's no surprise that Derry Girls continues to delight a growing legion of fans - a combination of magical writing and adorable characters make this show both timely and timeless. We're delighted to confirm a third series - don't tell Ma Mary, but I'm breaking open the Christmas cupboard in celebration."